It's ironic, isn't it, how difficult finding the reality in reality television can be sometimes? Dancing With The Stars should be a pretty basic competition show. However, in nineteen seasons on ABC, the show has become so much more. I find it really cool especially that the ballroom dancers have taken on a narrative of their own. Fan favorite Maks Chmerkovskiy fell for the unstoppable ice dancing force that is Meryl Davis on television, and they won! 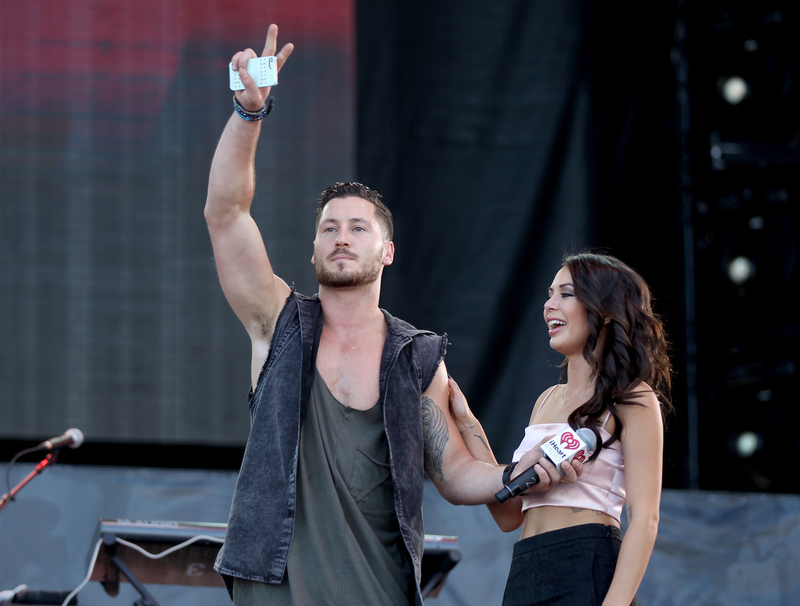 This season, we seem to be mirror-ball-ing that rumored affair with Maks' brother Val Chmerkovskiy and Pretty Little Liars star Janel Parrish. At the the end of their quickstep last week, Janel & Val shared a dramatic kiss. Whoa! I call it dramatic, but not passionate just yet. But does that kiss betray that Val and Janel are dating offstage at DWTS? The kiss may have been staged, but it could have meant something more, right? Well, it's hard to tell with those two. Sure, Parrish and her boyfriend have broken up since she started on the show. Sure, this isn't the first time that we've caught Janel & Val snogging or almost kissing in an DWTS performance. However, they are both actors. I didn't think I would be able to buy Meryl Davis performing with anyone other than Charlie White, and then her Chmerkovskiy came along. Those kisses on The Notebook seemed pretty real too, and look what we learned about that. I know we've been waiting for this for a while but... I have an unpopular opinion to share. That kiss just looks like choreography to me. My opinion is pretty is fitting, as Janel Parrish asked us to concentrate on the choreo. It was over-exaggerated. The way he shook her back and forth, then dropped her and made a face? It was more cartoonish than lingering, in my very humble opinion. When the quickstep was over, Val apologized for screwing up (over something obviously very dance technical and referring to patent leather shoes), Janel remarks "still really cute and it was still a blast — and I got kissed! So it's all good." That didn't seem sincere, in terms of romance, to me. I'm sorry! Plus, no offense to early swing, but that was not the sexiest of dances. It was cute! But if I had that dramatic of arena with which to announce my showmance, I think I would pick something a little steamier.